We have been having some fun with our shapes again lately. I wanted to make sure Pink had a very good understanding of all the 2D shapes before we went onto our 3D shapes. 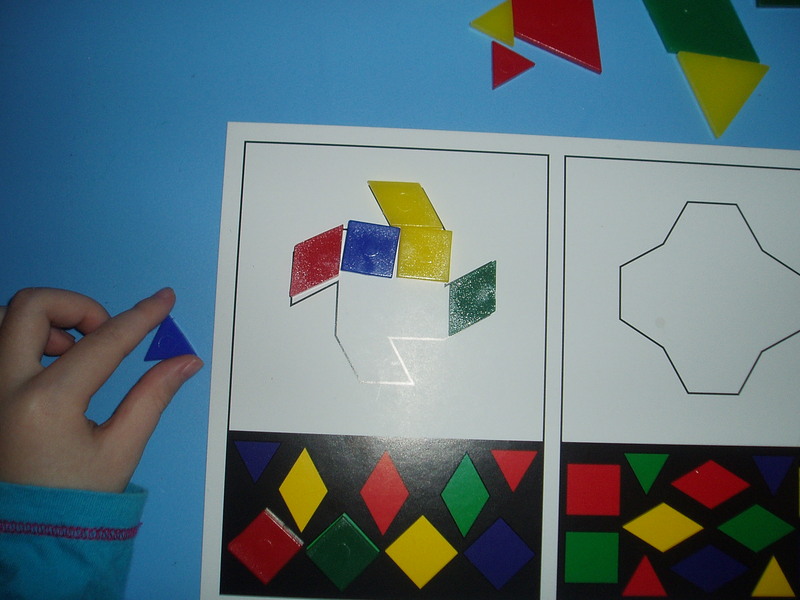 We started off by cutting out shapes in paper and then folded the shapes to see what other shapes we could make – this was great for seeing that if you fold a square in half you get a triangle. Once we had finished with this the kids took their shapes and painted them all different colours. One of our all time favourite activities is our TAP ART. Both the kids love this. Pink is very good at copying the pictures provided in the set and now also uses the shapes to create her own pictures. 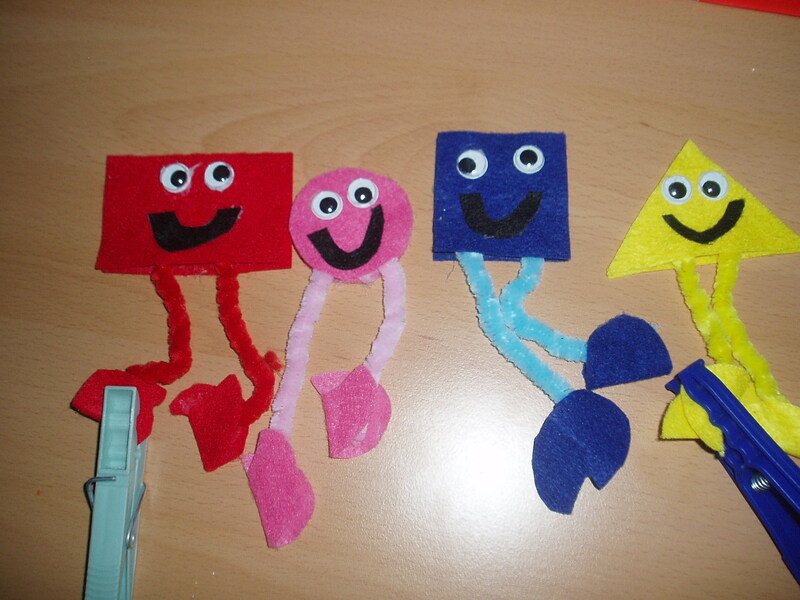 We also used some felt that we had in the house to make some shape people (got the idea from the shape people in Mr Maker). Blue really loved these. 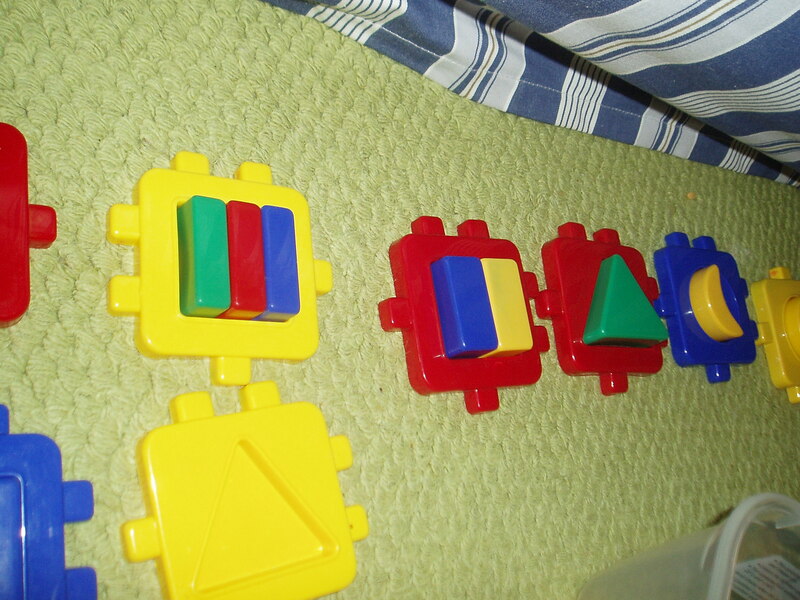 Another great game that we have used a lot is Brainy Blocks. In this you are given pictures and you have to use you shapes provided to complete the pictures. Highly recommend this game. And lastly we dug out some plastic shapes which I got on a toy clearance sale in South Africa. These where great for re-enforcing the idea that 2 semi-circles make a circle, 2 triangles make a square etc etc. 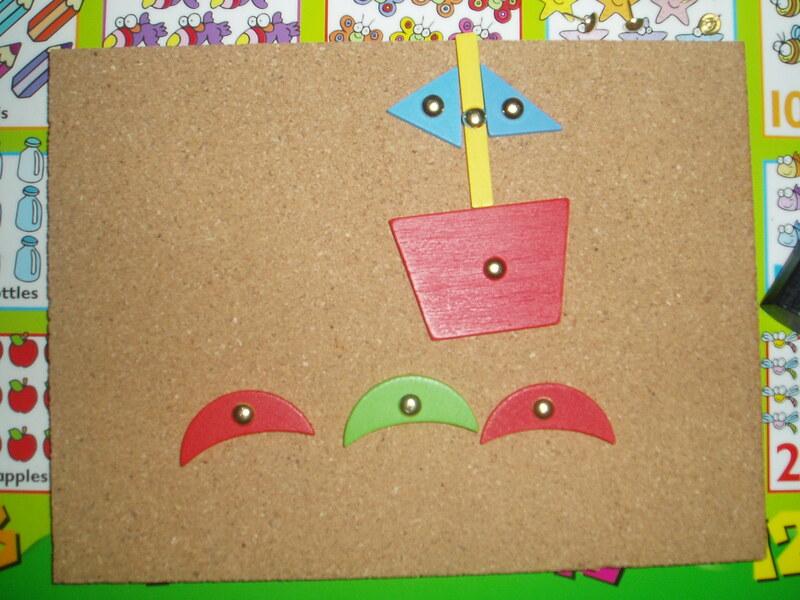 This entry was posted in ks1 maths and tagged educational games, shapes. Bookmark the permalink. This takes me back! We had such a lovely time home educating ours – wishing you the same! Enjoy and all the best!